What is the Cutera® Limelight Photofacial? The Cutera® Limelight IPL (Intense Pulsed Light) is a Photofacial laser that targets brown spots and redness to effectively even your skin tone. As we age, imperfections occur in our skin due to sun damage and skin trauma. Limelight IPL is a powerful technology that uses a superior type of IPL to rejuvenate your skin. The Cutera® Limelight Photofacial uses a non-laser Intense Pulsed Light (IPL) technology. As the pulses of light pass through the skin’s surface, collagen production is stimulated and blood flow to broken capillaries is reduced. With the ability to deliver precise amounts of light to only the areas that need to be treated, pigments, redness and discoloured areas will diffuse as your skin regenerates, revealing a more youthful, brighter complexion. Q: Does a Cutera® Limelight Photofacial hurt? A: The feeling of the pulses of light can be best described as a mild pinching sensation. Q: Will I experience any downtime following a Cutera® Limelight Photofacial? A: No, since only mild pinkness (similar to a sunburn) may occur following a Cutera® Limelight Photofacial, you can go back to your regular routine immediately following treatment. Q: How long does a typical Cutera® Limelight Photofacial take? A: Cutera® Limelight Photofacial sessions are 30 minutes per session. Q: How many Cutera® Limelight Photofacials are needed before I will see optimal results? A: Midtown Med Spa recommends up to three Cutera® Limelight Photofacial sessions for best results. Q: How long do I need to wait before a second Cutera® Limelight Photofacial treatment? 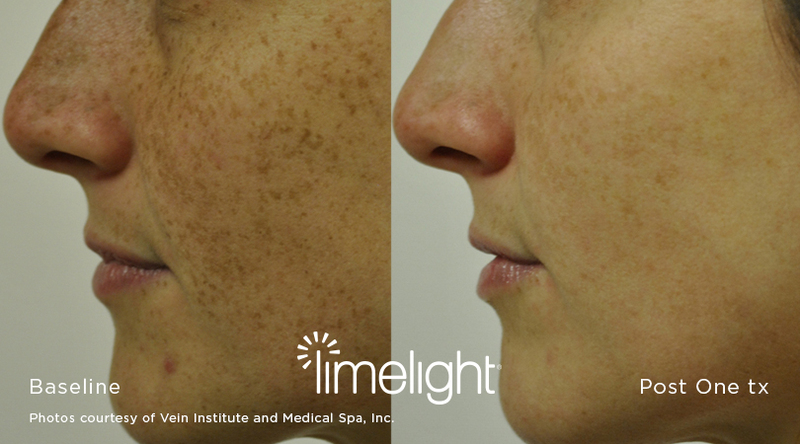 A: Midtown Med Spa recommends at least two weeks in between each Cutera® Limelight Photofacial treatment.